23 November 2015 – watercolour pencil, watercolour paint and watercolour pastel on paper. 210x297mm, 180gsm coarse paper. I’m taking a break from writing and have dragged out the paints. I’m feeling Christmassy, so here’s Aussie-fied Santa Claus in the desert. 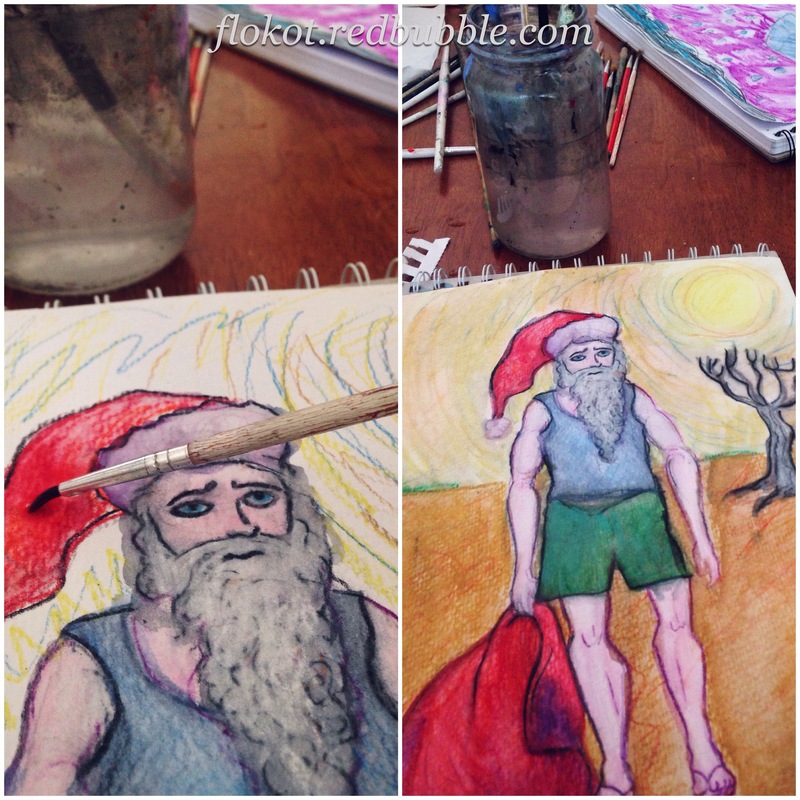 Posted in art and tagged art, aussie, australiana, christmas, christmas in summer, desert, father christmas, painting, santa claus, season's greetings, watercolor, watercolour, watercolour paint, watercolour pastel, watercolour pencil, wip, work in progress, yuletide on November 23, 2015 by Fiona.